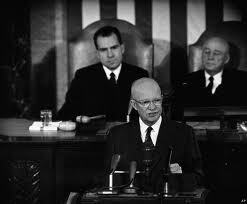 President Dwight Eisenhower, State of the Union, January 7, 1954. 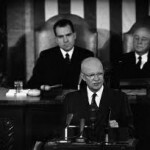 With that statement, President Eisenhower became the first president to support lowering the voting age for all Americans to 18. Congress did not respond to Eisenhower’s call by proposing a constitutional Amendment. On November 13, 1942, during World War II, Franklin Roosevelt signed into law the bill subjecting eighteen year old men to the military draft. Thus was born the phrase “old enough to fight, old enough to vote”. It would be nearly 29 years before the slogan became reality. 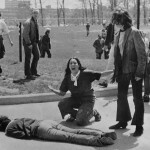 In 1970 the Vietnam War was raging and so were American college campuses. 18 year old Americans were being drafted for service in Vietnam. Yet in most of America, these young men had not been given the right to vote. They had no say in the election of the representatives that were making decisions about war and about who would fight it. The controversial nature of this war provided the impetus to resolve the dichotomy of men being sent to war without a voice in choosing those making the decisions to send them. The Constitution had left the setting of voting qualifications to the states. The expansion of national voting rights had always required a constitutional amendment. Protecting the right of freed slaves to vote required the 15th Amendment. Providing for national women’s suffrage required the 19th Amendment. The 24th Amendment prohibited taxes on voting nationally and the 23rd Amendment allowed District of Columbia residents vote for president. Creation of national voting standards had always employed a constitutional amendment. Congress attempted to lower the national voting age to 18 with legislation rather than a constitutional amendment. In 1965 Congress had passed the Voting Rights Act. The Act identified specific areas of the country with a history of racially discriminatory voting laws and gave the federal government power to review such laws. Congressional authority for this action came from the 15th Amendment. The 1965 Act was to last five years. 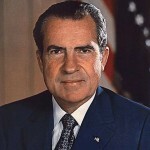 In 1970, Congress renewed the Act. Congress, as part of the 1970 extension also provided for minimum voting age for all elections, federal state and local. On July 22, 1970 President Richard Nixon signed the extension that lowered the voting age to 18 in all elections: local, state and federal. The issue of congressional power to impose a national minimum voting age without an amendment quickly came before the US Supreme Court in Oregon v. Mitchell. On December 21, 1970 declared that Congress was without power to set a national age for all elections without a constitutional amendment. “Section 1. The right of citizens of the United States, who are eighteen years of age or older, to vote shall not be denied or abridged by the United States or by any State on account of age. On July 1, 1971, North Carolina became the 38th state to ratify the proposal making it the 26th Amendment to the Constitution. It was ratified in 107 days, becoming the fastest ratification in history. The tragedies associated with confrontations between college students and others protesting the Viet Nam war and government authority tore the nation apart. 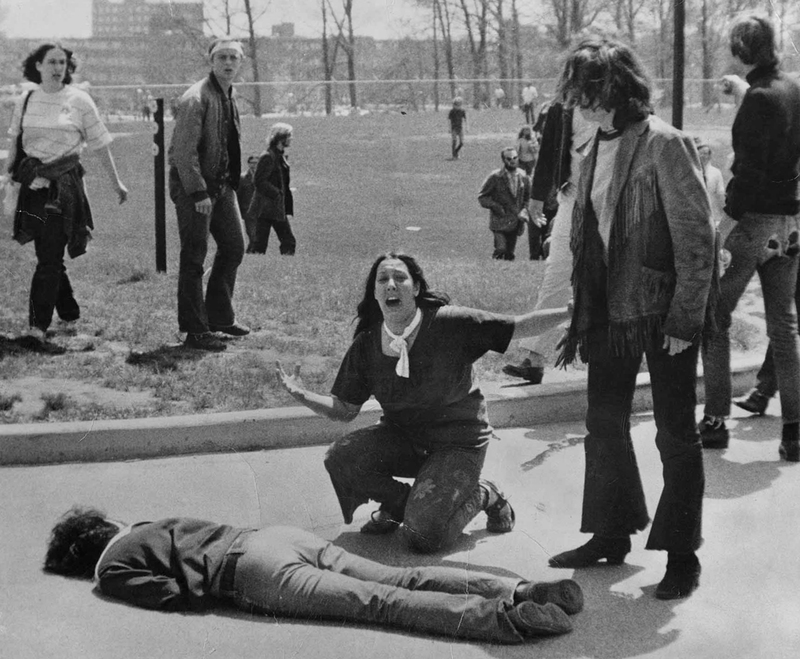 The most well-known incident involved the deaths of four students and wounding of nine others at Ohio’s Kent State University. Defining voter requirements for federal elections, Art. I, Sec. 2: “…the Electors in each State shall have the Qualifications requisite for Electors of the most numerous Branch of the State Legislature…” States defined who voted for the state legislatures. Once the 15th Amendment was in place, Congress was given the power to police state discrimination in voting rights on the basis of race. This was done by providing for voting rights for citizens over 18 with an extension of the Voting Rights Act of 1965. 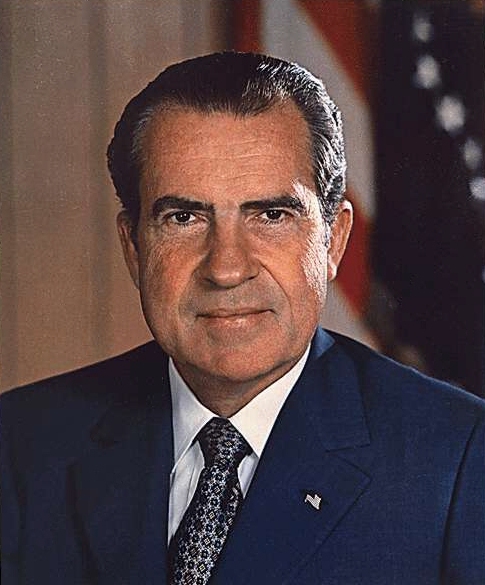 President Nixon expressed doubt that the voting age could be lowered to 18 without a constitutional amendment at the time he signed the extension, and directed Attorney General Mitchell to expedite a Supreme Court appeal. This was less than six months after Nixon signed the law. That is light speed in Supreme Court time. It was a strange Supreme Court decision that approved Congress’ power to lower the age for federal elections, but not for state or local elections. The reading of the Constitution to allow the justices to arrive at this decision was strained at best.